Turkish police said that the base is back to normal after deploying 7,000 personnel to surround the base. The Incirlik base, which hosts thousands of U.S. troops and serves as a NATO outpost to Iraq and Syria, was shut down Saturday night amid rumors of a second coup attempt. The entrances and exits were closed, and 7,000 riot police, counter-terrorism police and armored vehicles joined soldiers at the base in Adana to secure the premises. All forces, “like those that served on July 15,” were deployed to deal with the “crisis” situation, announced Adana police. No one will be allowed to enter or exit the base until more is found out about the “danger,” reported Hurriyet. The entrance to the Hilton and Sheraton hotels were also closed. This is the second time the base is on high alert in two weeks. The air space around Incirlik was closed during the attempted coup amid concerns a tanker aircraft commandeered from the base was used to refuel aircraft involved in the attempted overthrow, but was reopened in the days after the attempted coup so that U.S. warplanes could continue their operations in Syria and Iraq. The base’s electric power was also shut off, allegedly by the coup plotters, and the base operated on generators until last Saturday. 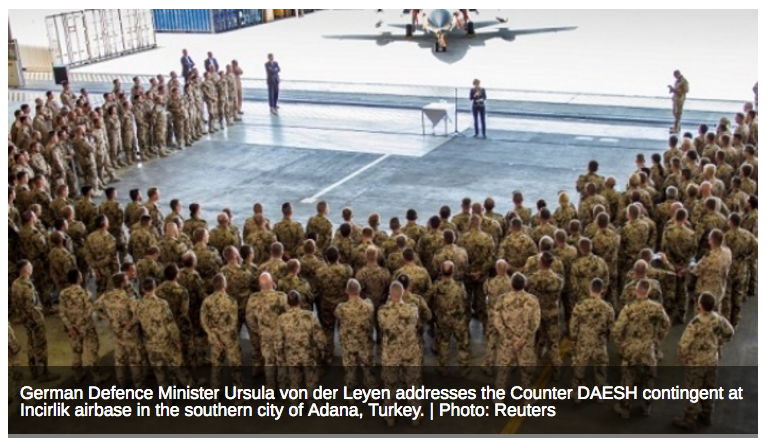 The Turkish commander of the base was detained for complicity, a senior official said. Turkish Foreign Minister Mevlut Cavusoglu said some troops at the base were involved in the attempted coup. Rumors also circulated that some 1,500 U.S. military staff were held captive at the base. On Thursday, thousands protested U.S. presence at the base and accusing the U.S. of playing a role in the coup. Some burned U.S. flags, reported Military Times, chanting against the large U.S. nuclear arsenal held at the base. U.S. Chief of Staff Joseph Dunford arrived in Turkey hours later to visit the base.